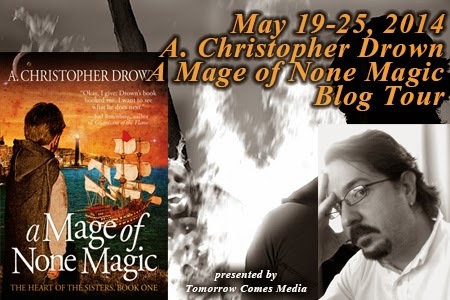 Mage of None Magic, by A. Christopher Drown, is an entertaining fantasy novel about a legend come to life. Neil, an apprentice magician, is a naïve but likable fellow who finds himself in uncharted territory when his life veers off course. 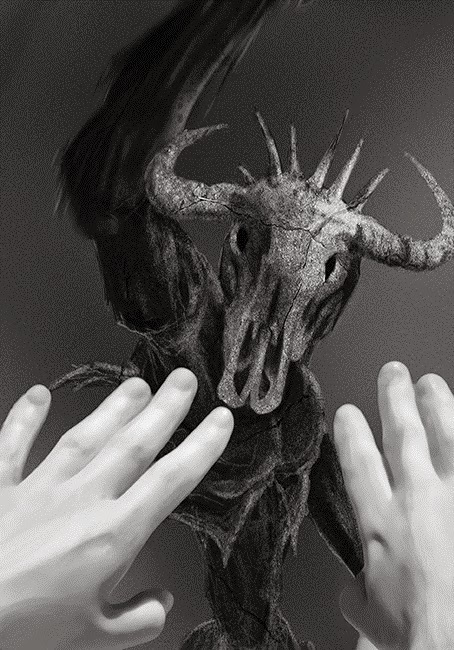 In the process of trying to find his way back to his old life, he learns a little bit about himself and the world around him that he never expected. Although it did start out a little slow, this was an interesting fantasy story. The beginning of the book was all about setting the groundwork for the story to come. We learned some of the history and the legendary acts that occurred prior to Neil’s life. The back story caught my attention right away. 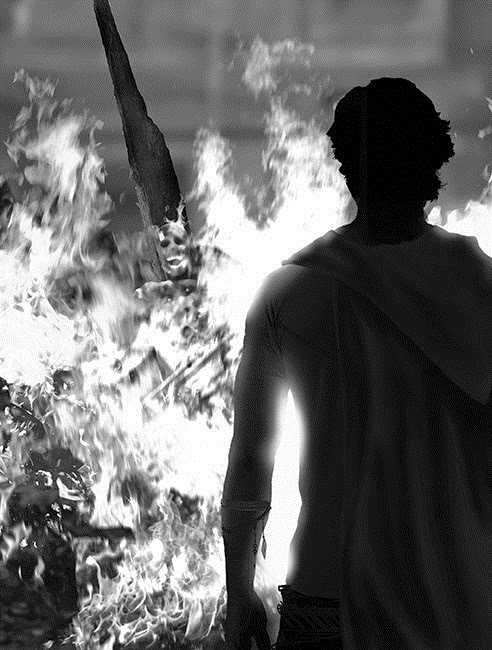 After that, it seemed to drag for a bit as we were slowly introduced to the other characters. Luckily, I hung in there because the story did manage to pick back up and I found that I thoroughly enjoyed the motley crew of companions Neil ends up traveling with. As I mentioned before, the story did have some pacing problems but Christopher Drown has a strong talent for character development that overcame any of the issues I had and made this a worthwhile and enjoyable read. As the first in a series, there is a lot of set up but the premise was interesting enough to reserve the next book a place on my to be read list. About A. Christopher Drown: A. Christopher Drown is a native of Brunswick, Maine, who currently resides in Memphis. 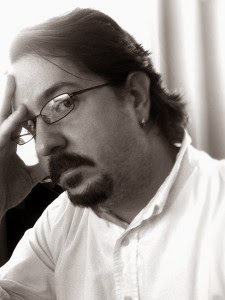 His work has appeared in several magazines and anthologies. 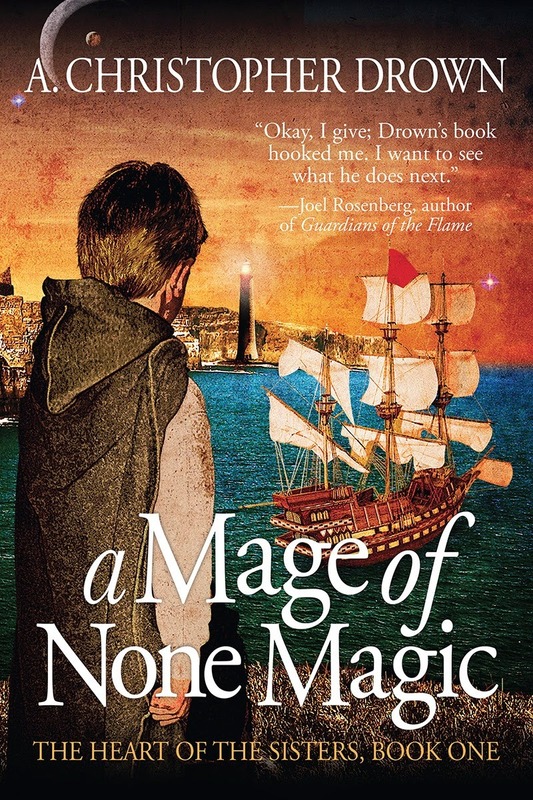 The first edition of A Mage of None Magic won the 2010 Darrell Award for Best Novel. His story, Path of an Arrow, received the 2012 Darrell Award for Best Novella. He recently completedhis second novel and is at work on The Book of Sediahm, the next book in the Heart of the Sisters series. An award-winning graphic designer, when not slogging away at his trusty Macbook, Pedro, he can be found hiding around a nearby corner waiting to leap out at either of his unsuspecting children. Hmm not sure about this one. I think I will wait for book 2 to be reviewed.